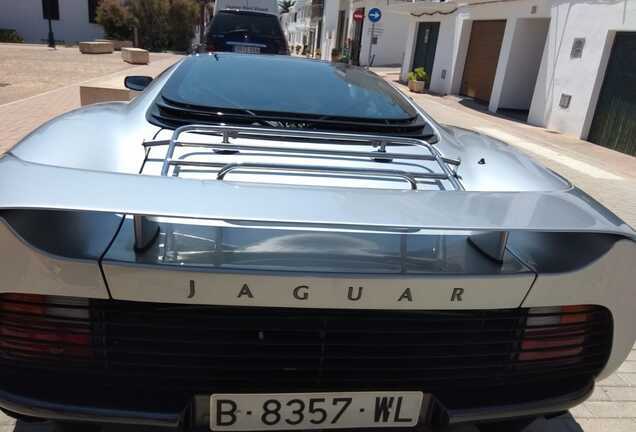 Yes, you can argue that the Jaguar XJ220 didn't get the V12, but instead a turbo-charged V6. But that doesn't make the car less appealing, at least not when it comes to its appearance! 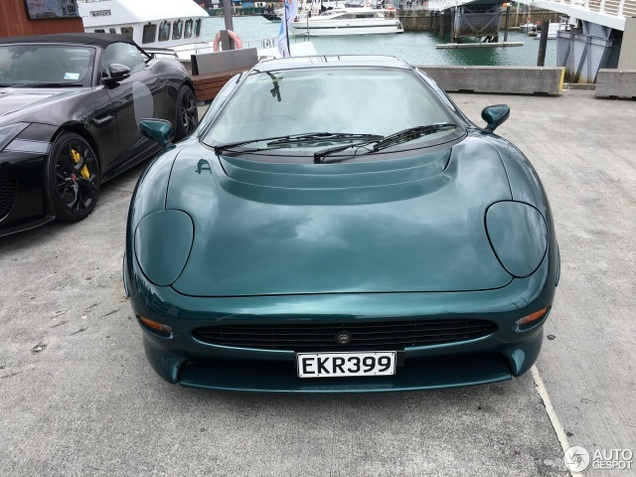 The XJ220 doesn't get spotted very often and we were pleasantly surprised to see this one spotted in Auckland, New-Zealand. It is so rare (and massive) that you would almost forget the "other" special Jaguar, parked right next to it! 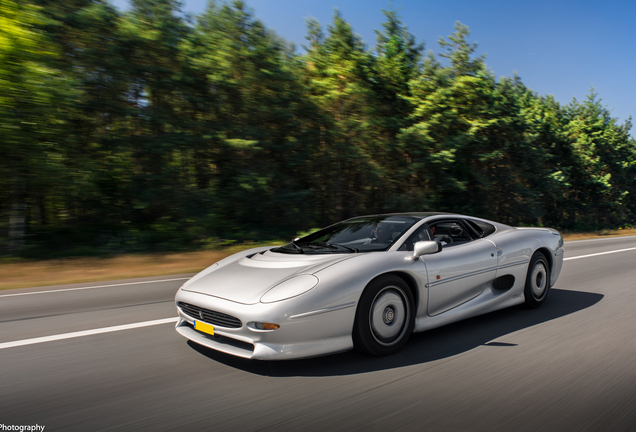 The Project 7 is a special edition of the F-TYPE and is, in our opinion, as spectacular as the XJ220, even though it doesn't fit in the "holy-trinity" line-up as the XJ220 attempted to do. 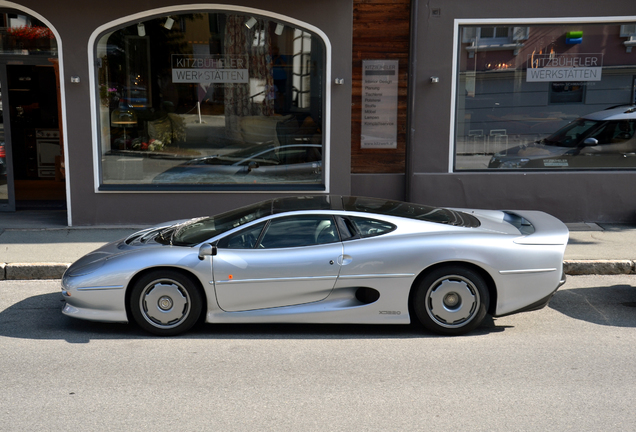 At the time of the introduction, the XJ220 was positioned right along the Ferrari F40 and the Porsche 959. 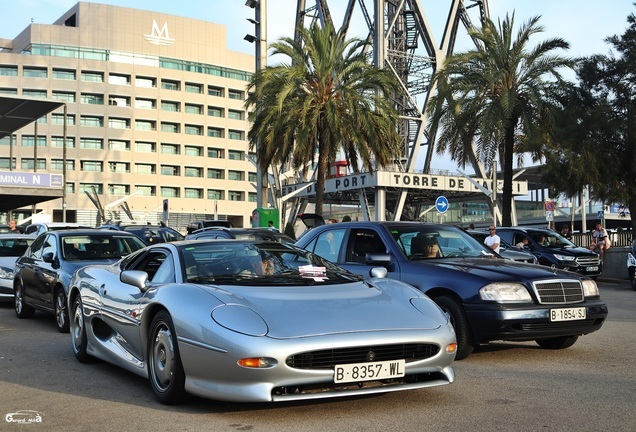 When it finally went in production (several years later), it was totally outperformed by the mighty McLaren F1 and the car became "forgotten". The F-TYPE Project 7 is no competitor of the LaFerrari, 918 and P1, and it was never Jaguar's goal. The Project 7 is an homage to the 7 LeMans wins and it has one purpose, driving pleasure. The V8 of the Project 7 is spectacular, and the car looks stunning, especially without the top. 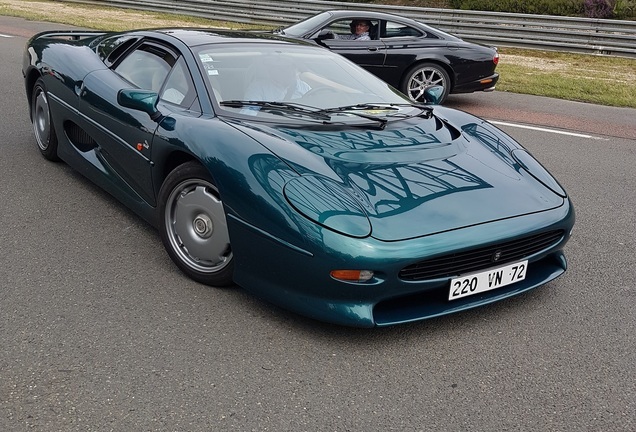 But in all honesty, it looks modest when parked right next to the classic XJ220 in the British Racing Green finish.